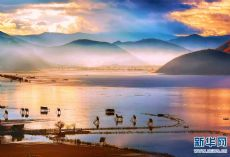 Recent online photos show the enchanting autumn natural sights and sun glow at the Napahai Lake in Shangri-La, Diqing Tibetan Autonomous Prefecture. 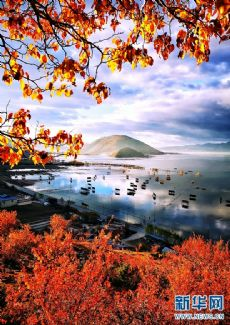 Napahai is a seasonal lake formed by frequent rain falls in late summer and early autumn. 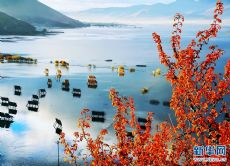 In winter, the lake water recedes, leaving the tourists a beautiful marsh wetland.